The Heartland Gateway is designed with close attention to every detail. Inside, you will find an upscale, residential interior that will make you feel right at home. Take a closer look and you will find trimmed out crown molding, European style hidden hinges, top stitching on plush leather furniture, LED accent backlighting and more! The large window openings allow for a gorgeous panoramic view of your surroundings. Invest in the best. There’s no need to “settle” with the Gateway’s upgraded Gateway To Comfort Package. Enjoy high-end kitchen features such as solid surface counter tops, a stainless steel under mounted sink, a residential refrigerator, and English maple cabinetry with solid wood doors. Let your inner chef shine! 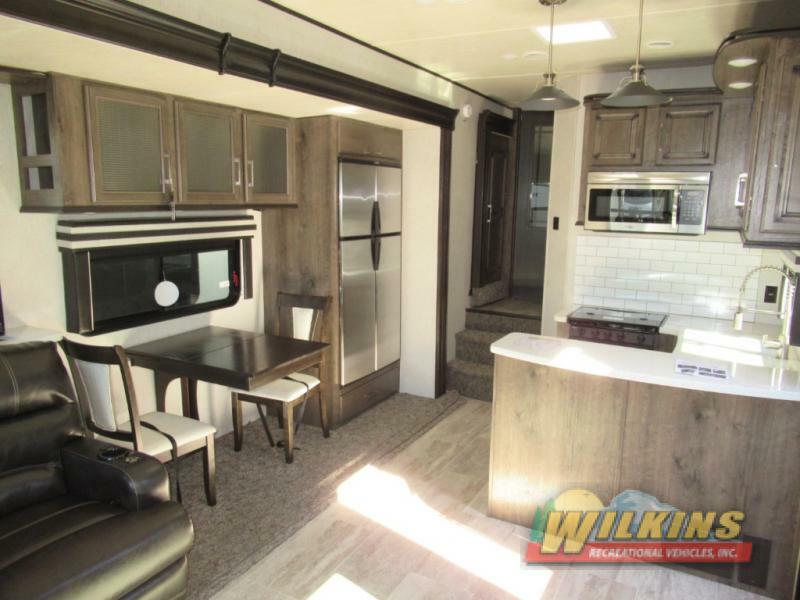 Heartland RV is known for their creative floorplan layouts and the wide variety of Gateway RV models are no exception. 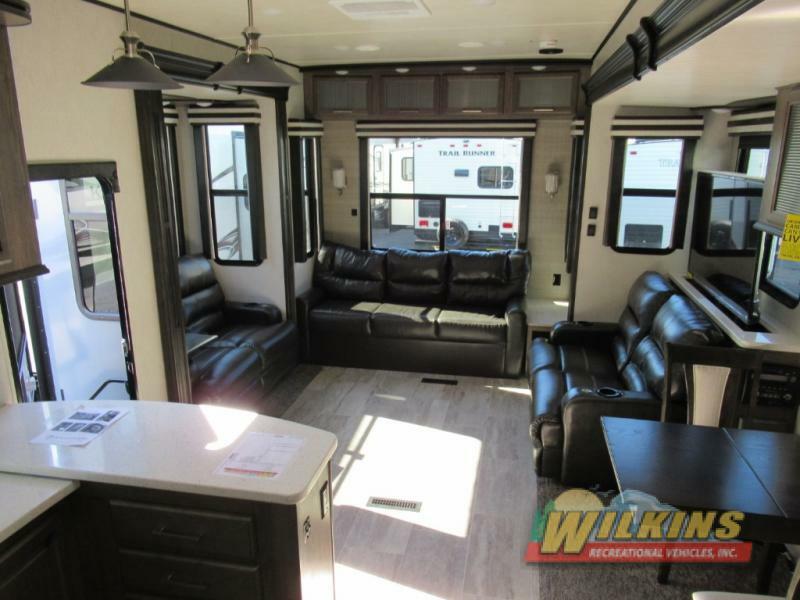 Check out the impressive Gateway 3712RDMB which features a middle den, 4 slide out rooms and sleeping space for up to 7 happy campers. A successful extended living fifth wheel design depends on exceptional storage capacity. 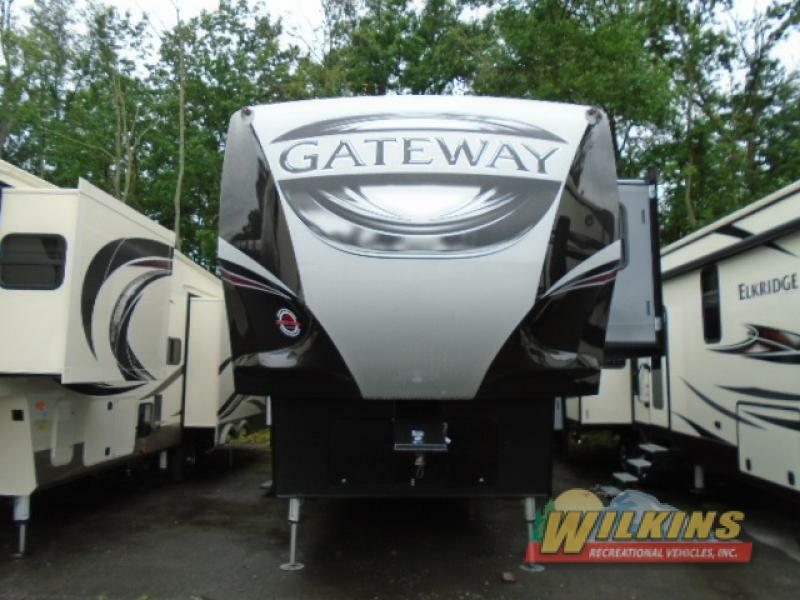 The Heartland Gateway offers plenty of storage space both inside and out. There is a large, finished storage under the master bed, full exterior pass-through storage with slam latch doors and even a secret storage compartment with safe. In addition to high gloss sidewalls and painted front cap, the Heartland Gateway is a real head turner with oversized exterior graphics, metallic gelcoat walls and dynamic design accents. Options such as 6 point hydraulic leveling and rear back up camera prep are convenient additions to make set up extra easy. 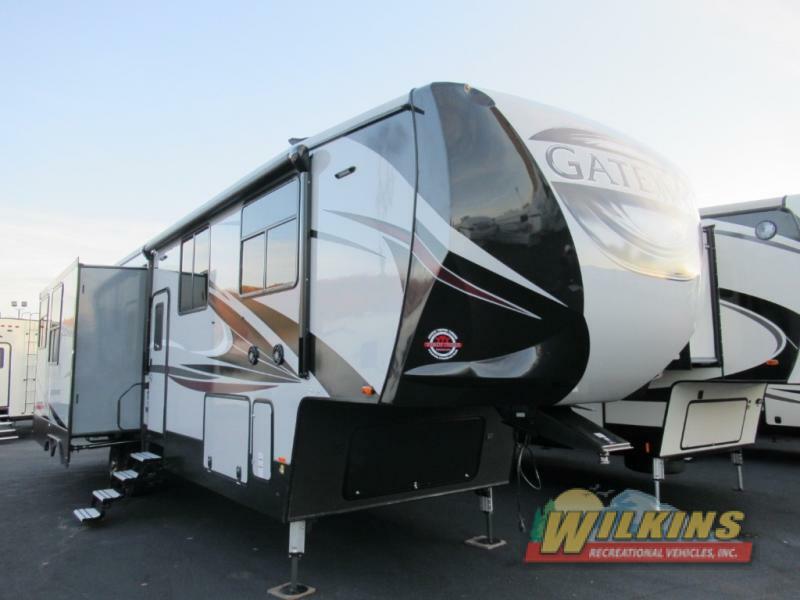 To get a closer look at the attractive and affordable Gateway Fifth Wheels on Sale At Wilkins RV, Contact Us for a walkthrough tour. This luxury fifth wheel is a must see!